Everyone likes an underdog. There’s no story like the underprivileged or the disadvantaged rising against his stronger foe and coming out the winner. This is probably why the biblical tale of Exodus has such staying power: the humble and oppressed Hebrew slaves rise up against mighty Egypt and escape to the Promised Land. It is a morality tale about trusting in God and the ultimate humanity of both hero (Moses) and oppressor (Pharaoh). But is it true? Does the biblical tale of Exodus preserve factual events about the early days of Israel and the deliverance of its chosen people? The answer is both simple and complicated at the same time and requires attention to detail, so I would like to summarize the facts and fictions of Exodus. I should preface this by emphasizing that although I’m something of a minimalist when it comes to biblical historicity, it is never my intention to act with disrespect or dismissal toward any religion. I am not an atheist. At the same time, when it comes to historical research, I feel it is vital to approach all avenues of study with objectivity and adherence to extant evidence. What does the full weight of this evidence reveal to us—the textual and the archaeological? This must be the approach when studying history. That said, let’s first turn to the sources for Exodus. Where is this tale preserved for us? That’s simple. The Hebrew Bible. The Book of Exodus as well as scattered passages throughout the Old Testament represent the first and oldest sources for the events of Moses and his people. Although there is plentiful mention of Exodus outside the Hebrew Bible and from different cultures of the ancient Mediterranean world, it cannot be stressed enough that all such writings are subsequent to the Old Testament and draw from the same. For example, the first century CE Jewish historian Josephus writes about Exodus. Josephus includes important passages from an even older account penned by an Egyptian historian-priest named Manetho of Sebennytos, who composed his history of Egypt in the third century BCE. Manetho’s work was commissioned by the early Ptolemaic pharaohs who ruled over Egypt, and unfortunately none of Mantho’s original work survives. What we have, has come down to us through the work of men like Josephus. It is clear, however, that the writings of both Manetho and Josephus concerning Exodus were inspired by the Old Testament. What this means is that we, too, are obligated to turn to the Old Testament for information about Exodus. It’s literally all we have. Now, few events in the literary genre of history have been as misrepresented as Exodus, especially at the pens of misguided fringe writers like Ahmed Osman and David Rohl. And as entertaining as it might be to tear apart such fringe literature (perhaps the topic of a future article?) I prefer to stick to the facts and the original sources. We needn’t muddy the waters anymore than they already are. In the four hundred and eightieth year after the Israelites came out of Egypt, in the fourth year of Solomon’s reign over Israel, in the month of Ziv, the second month, he began to build the temple of the Lord. King Solomon died in 930 BCE after a reign of 40 years, so we can place his ascension to the throne in 970 BCE. He began to build the great Temple in Jerusalem four years later, in 966 BCE. To this last number we can add the 480 years specified in 1 Kings 6:1, and we arrive at a date of 1446 BCE (Dever 2003: 8). This immediately presents a problem, however. A date of 1446 BCE places us square in the reign of the great Egyptian king Menkheperre Tuthmosis (1479-1424 BCE), otherwise known as Tuthmosis III. Some fringe writers have in fact tried to paint Tuthmosis III as the pharaoh of Exodus, but the real problem here is, Tuthmosis III was the greatest warrior pharaoh of Egyptian history and in his time cemented Egypt as the single-greatest power of the entire Near East. Tuthmosis III led 40 years of sweeping military campaigns that brought under Egyptian control practically everyone and everything between Lower Nubia and northern Syria. This means that part of Egypt’s sphere of influence was the Levant and Canaan, where the Hebrews were supposed to have conquered cities left and right after fleeing Egypt to establish the Promised Land as their own. Obviously a great conquerer like Tuthmosis III was not going to allow a bunch of escaped slaves to upset his hegemony. Egypt ruled the entire region with an iron fist. Simply put, Tuthmosis III could not have been the pharaoh of Exodus. As it is, almost no self-respecting, gainfully employed, professional historian would try to argue otherwise. So the numbers as provided in 1 Kings 6:1 do not work. It’s more likely the figure of “480” is not literal but is instead a symbolic length of time representing the lifespans of 12 generations (Finkelstein & Silberman 2001: 56). In biblical accounts certain numbers are repeated or appear as divisible by other numbers, and few numbers appear to be as sacred as 40 (go ahead, do the math for yourself with 480 and 40). The reason is simple: 40 in the ancient Near East was a common sacred number among numerous cultures because, at the time, it represented a generation. It must be understood that some Hebrew scribe was not following on Moses’ heels and writing down an exacting journal as the Jews fled Egypt and spent the next 40 years (there it is again) in the desert. Most of the books of the Hebrew Bible were penned a very long time after the events they portray. Exodus, for example, was probably written around 500 years after the fact (Dever 2003: 8). As it is, the emergence of an identifiable Hebrew culture occurs only at the very end of the Bronze Age. We’ll come back to that point later. Here the Old Testament provides the names of two specific places in Egypt. Are they real places? Yes, they are. And their mention is important in nailing down a real timeframe for Exodus. Many of the earliest scholars and antiquarians who explored the Middle East were well-educated individuals, schooled in the Classics and in biblical studies. In their tireless searches of Egypt and the Holy Land they were hoping to find physical proof that the stories of the Bible were true. In those days, especially the eighteenth and early nineteenth centuries, few people from Western nations doubted the Bible in any manner; indeed, they viewed it as rock-hard fact, a real history of the ancient Near East. In almost all cases they came up quite disappointed. It seemed the more they searched, the less corroboration they found. Indeed, in many cases, all they found were blatant contradictions. But not in all cases. Ramesses II reigned for almost seventy years and was a great warrior pharaoh himself. It is the Old Testament’s mention of his city that leads most historians to place Ramesses as the pharaoh of Exodus. The king is never mentioned by name in Exodus, so we are left to discern his identity by such clues. The city of Pithom has been more difficult to locate. 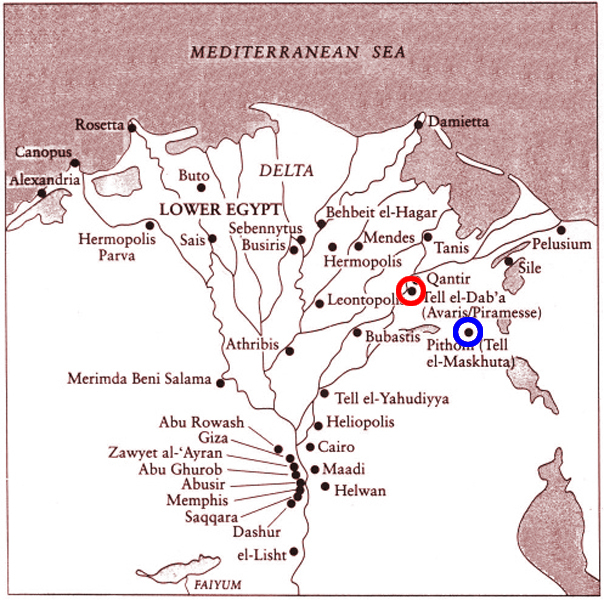 In the map above, circled in blue, is a site called Tell el-Maskhuta, and many historians agree this might be it. 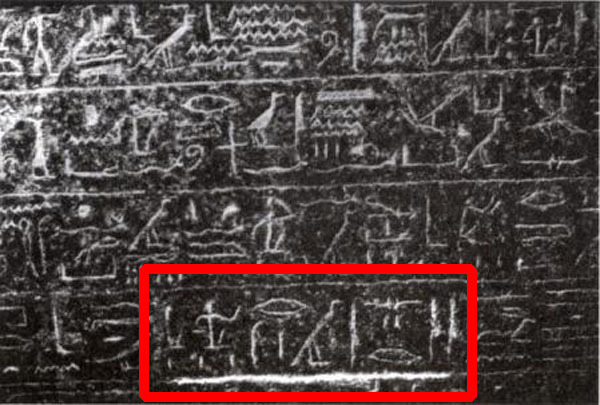 Pithom would be rendered in ancient Egyptian as Per-Atum, and records of the New Kingdom confirm it was a real city. However, on archaeological grounds Tell el-Maskhuta appears to have seen little activity or occupation in the New Kingdom, so it’s not clear if this is actually the correct site. Another possibility is a site called Tell el Retabeh but it, too, does not show occupation until after the Ramesside Period (ibid: 14). At least we have Per-Ramesses, which is the more important. As this city did not exist prior to the reign of Ramesses II, Exodus must have occurred during the reign of this great pharaoh. Fringe writers have tried to assign the tale of Exodus to earlier kings like Ahmose I and Hatshepsut (as well as Tuthmosis III), but we can see how it doesn’t work. Can we find anything from the reign of Ramesses II to confirm Exodus? The researcher Bob Brier (2004) has entertained indirect evidence that places Exodus later in the reign of Ramesses II, after the death of his son and crown prince Amunhirkepshef. The truth is, however, nothing from the reign of Ramesses II lends historical veracity to Exodus. Ramesses lived around 200 years after Tuthmosis III, the creator of the Egyptian empire. It’s true that by the time Ramesses came to the throne, Egypt’s hegemony had slipped somewhat. A new power far to the north was competing with Egypt for control of Canaan. The great Indo-European kingdom of Hatti, storming from their capital city of Hattusa in central Turkey, had caused no end to grief for pharaohs in the time of the New Kingdom. Many might be familiar with Ramesses’ great military campaign against the Hittites at the Syrian city of Kadesh. This great battle of chariots and infantry probably took place around 1274 BCE, early in the reign of Ramesses, and the pharaoh portrayed it back home as an overwhelming victory for Egypt. The truth is, the battle of Kadesh was at best a draw. The Egyptians ended up besting the Hittites in battle, during which Ramesses himself was almost killed, but the Hittites managed to hold onto Kadesh. Ramesses would go on in succeeding years to lead other campaigns deep into Syria, but never again would Egypt take Kadesh. I hope you see where I’m going with this. The Egyptians and Hittites might have been duking it out for a long time, but between the two, all of the Levant and Canaan were under the solid control of either Egypt or Hatti. A state of cold war existed between the two great powers for years (Wilkinson 2010: 314). In the peace treaty that Ramesses eventually signed with Hatti, the Egyptians and the Hittites ended up splitting control of the entire region between themselves. There was no place for an upstart force of escaped slaves to carve out a home for themselves in Canaan. Had such an attempt been made, either Egypt or Hatti (probably the former) would’ve squashed them. Moreover, throughout the New Kingdom the rulers of Egypt maintained rigid control of their own borders. The escaping Hebrews would’ve had to flee Egypt to the east, out into the Sinai, but all points of ingress and egress in this region were controlled by a well-regulated system of forts garrisoned by military detachments; records from garrison commanders of this period preserve the accounts of who was coming and going (Finkelstein & Silberman 2001: 59). Another important point to consider is Exodus 14:6 where we are told Pharaoh “…had his chariot made ready and took his army with him.” In other words, the Egyptian king led his army to retrieve the Hebrew slaves. He’d experienced second thoughts about letting them go. Yet the Egyptian army is said to have been swallowed up by the sea which Moses had parted, so how is it that the body of Ramesses II survived so intact? Note the photo of his mummy, above. 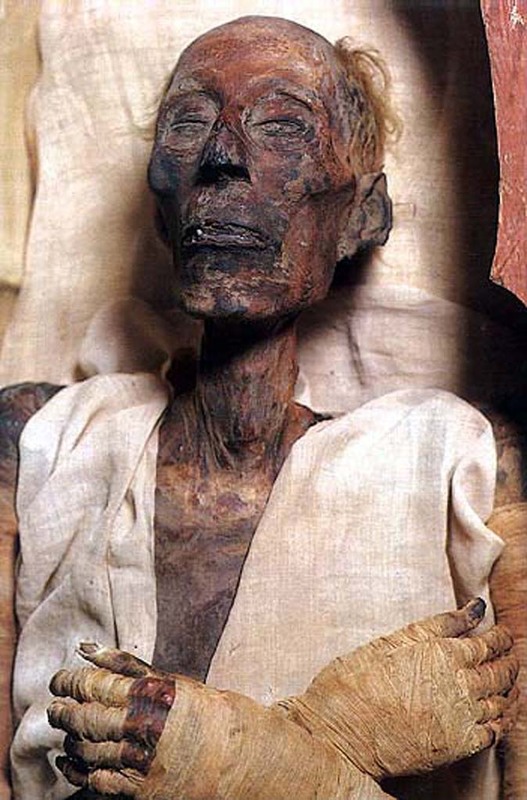 This is one of the best-preserved royal mummies from all of pharaonic history. No, Ramesses died in his bed, a very old man probably around 90 years of age. I recently watched a TV special in which one commentator stated Ramesses probably sent one of his sons in his place. The commentator stated that an Egyptian king wouldn’t have bothered. Yet Ramesses would’ve considered this a military action, and while many pharaohs may not have personally led their men into battle, Ramesses II never would’ve shied from this duty. He craved action. Finding historical veracity for Exodus is becoming exceedingly difficult. What about Moses? Do we know anything about him? As with all other things Exodus, there is no evidence for such a man outside the pages of the Old Testament. Many writers exercise a sloppy approach in playing with his name, noting that it sounds quite Egyptian. 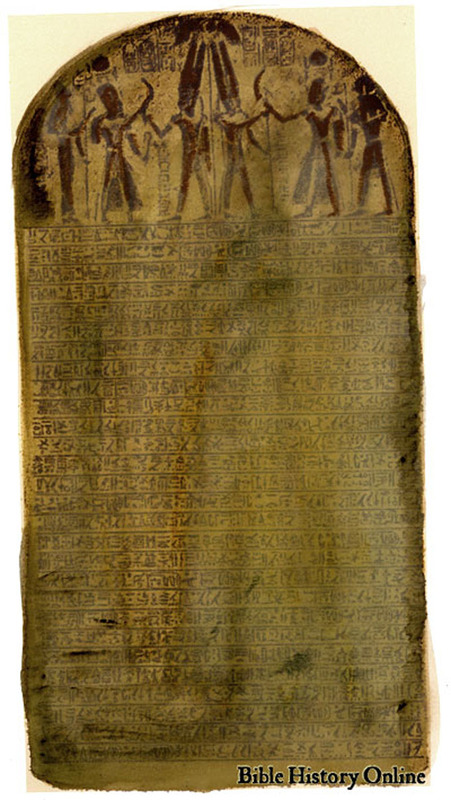 In fact, the Egyptian word ms or mss, which means “born of” or, in a looser sense, “child of,” is a common element in ancient Egyptian names, kings included. Think of Tuthmosis, which would’ve sounded more like Djehutymose in the ancient Egyptian tongue (“Tuthmosis” is the rendering from Greek): the name means “Born of [the god] Djehuty,” the great ibis-headed god. And of course there’s the name Ramesses, which means “Born of Re.” And there are some instances from ancient Egypt where men were called simply Mess or Messes. We do not usually know the vowels from ancient Egyptian scripts, so one can see how “Moses” can be derived from “Messes.” I take no issue with that. This is from the Hebrew verb מֹשֶׁה‎ (modern “Moshe”), meaning “to draw.” Interestingly, the scribes who penned Exodus may have turned to a much-older tradition attributed to the great Akkadian ruler Sargon I, who as legend has it was also found as an infant in a basket floating in a river (Roux 1992: 151-152). What of the enslaved Hebrews themselves? Did Egypt keep slaves? Absolutely. They were probably especially prevalent in the New Kingdom, many if not most having come to Egypt as prisoners of war. Whole families were enslaved, the men often folded into the Egyptian military or brought into agricultural labor, and the women and children into homes and temples and estates as domestic slaves. And the children of Israel journeyed from Rameses to Succoth, about six hundred thousand on foot that were men, beside children. And a mixed multitude went up also with them; and flocks, and herds, even very much cattle. The math is not hard to do. The slaves numbered 600,000 men alone. Factor in all of the women and children and those among the “mixed multitude” and we easily come to a number of around two million slaves fleeing Egypt. This is altogether unrealistic. Two million people would’ve represented about a third of the Egyptian population in the Nile Valley, so the number cannot stand. Numerous authors have suggested the number was no longer remembered by the scribes who penned the account and perhaps the fleeing slaves numbered only several thousand. Whatever the number, it’s unlikely they would’ve made it alive through the forts that controlled ingress and egress to the east of the Delta. I won’t dwell long on the Plagues, as interesting as they are. All I need say is that practically all of them can be the result of natural climatic events. Not that all would’ve occurred at the same time, but the Plagues might have been a literary device on the part of the Hebrew scribes who wrote Exodus (as a demonstration of Yahweh’s power) or they may represent any number of different climatic upheavals from different periods, brought together into the narrative. The Hebrews spent 40 years wandering the desert before arriving in the Promised Land, at which time they took up their arms and violently cleared the land and its cities of the Canaanites. Is there evidence for this? Surely widespread destruction of Canaan at this time would leave signs in the archaeological record. This is usually discernible in the strata of any archaeological site. The archaeological record definitely shows destruction events at sites like Jericho, Hormach, and Arad. The problem is, all such destruction events can be dated to the Early Bronze Age or the Middle Bronze Age, but not to the Late Bronze Age (Redford 1992: 265). In fact, these sites appear not to have been occupied in the period when the Hebrews were supposed to be sweeping through Canaan to establish their kingdom. Some sites do evidence destruction in the Late Bronze Age, of course, but this could’ve been more realistically the result of widespread invasions by the Sea Peoples—this federation was bested by Egypt at the end of the Bronze Age but wreaked havoc all over the Levant. This earliest mention of Israel, by the way, has led some scholars to argue that Merneptah was the pharaoh of Exodus. They represent a minority, however: most still argue in favor of Ramesses II. The way the name is written is itself interesting. The determinative used in the script for Israel does not denote a nation or polity or city-state but simply a people, a tribe. It appears the Egyptians viewed these early Hebrews as semi-nomads. Archaeology of the Holy Land more or less corroborates Merneptah’s assessment. A noticeable shift between “Canaanite” to “Israelite” culture appears in the highlands of Canaan at the end of the Bronze Age. In the span of only a few generations a dramatic social transformation was taking place in this central hill country; scattered villages were popping up, as many as 250 in number (Finkelstein & Silberman 2001: 107). This is as far back as we can trace the origins of the Hebrews. It correlates to the later periods of the Egyptian New Kingdom. At this time the entire eastern Mediterranean region was experiencing collapse and upheaval, for reasons still not clear to scholars. It allowed the Sea Peoples to depart from their Aegean and Asia Minor homelands to sweep south and invade the Levant. Hatti mysteriously disappears from history. Egypt falters and would never again be a great empire. Great polities like Babylon and Assur shrink back. Great cities like Ugarit are laid waste and never reoccupied. It is in this vacuum that the people of Israel began to take root. By all accounts there was never an invasion from without, but an entire shifting of peoples in the Levant. As coastal Canaanite cities were experiencing turmoil and collapse, people fled inland. The once sparsely occupied central hill country was now dotted with the villages of a semi-nomadic people most scholars refer to as proto-Hebrew. The material culture they left for archaeologists of the present to discover, paints the picture of their origin and development. Many generations would pass in these highlands before there was actually a Hebraic kingdom centered on Jerusalem. The events of Exodus, as portrayed in the Old Testament, never happened. So what is Exodus actually about? Without a doubt later peoples believed in the historicity of Exodus, as many devout people do today, but what really happened? In all likelihood Exodus was one means by which the nascent kingdom of Jerusalem painted itself as legitimate: it was the rightful ruler of what was once Canaan. Many historians feel Exodus may have been a conflation of several unrelated historical events (Wilkinson 2010: 313). For example, there probably was a dim memory among many ancient Near Easterners of the great Theran volcanic eruption that marked the beginning of the end for the Minoan thalassocracy of the Aegean. Modern carbon dating has confirmed that the eruption occurred between 1627-1600 BCE (Bruins 2010: 1489). The climatic upheaval caused by this devastating event could’ve created many of the biblical Plagues in Egypt. The death of the first-born is more mysterious, but it’s my own theory that this was but a distorted memory of a particularly deadly epidemic that took many lives, a great many children among them (the ancient Near East experienced any number of plague events that killed off the very young and the very old). Although the Hyksos were not the Hebrews, and in fact lived a very long time before the earliest Hebrews, they were nonetheless Semitic peoples. They were violently expelled from Egypt around 1550 BCE by Ahmose I, but this itself could’ve been a distorted memory of Semitic peoples fleeing Egypt. The Hyksos themselves were for the most part exterminated by the Egyptians, but their memory was not. Perhaps they, too, found their way into the biblical Exodus: as the Hebrews under Moses. I hope I’ve presented my case adequately. A secular approach to historical study will usually remove the fictions from the facts and leave us with something reliable to consider, but do not be mistaken. In my opinion this does not take away from the value of the Bible. It remains the greatest book ever written. Brier, Bob, “Ramses the Great: The Twilight Years.” The Great Pharaohs of Ancient Egypt. The Teaching Company. 2004. Bruins, Hendrick J. “Dating Pharaonic Egypt.” Science, Vol. 328. 2010. Dever, William G. Who Were the Early Israelites and Where Did They Come From? 2003. Finkelstein, Israel & Neil Asher Silberman. The Bible Unearthed. 2001. Redford, Donald B. Egypt, Canaan, and Israel in Ancient Times. 1992. Roux, Georges. Ancient Iraq. 1992. Wilkinson, Toby. The Rise and Fall of Ancient Egypt. 2010.